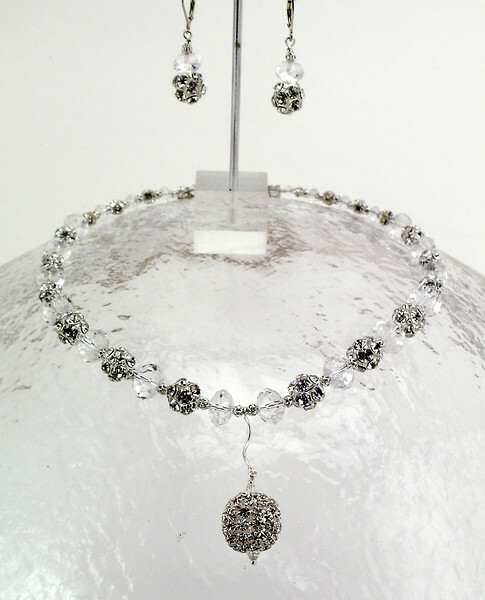 Clear crystal and rhinestones. Silver plated clasp and 4" extender chain. 18" to 22" Limited Edition.